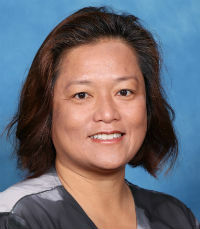 Rebecca Dao has spent 20 years in education, including more than 16 years in the special education sector. She has worked across state education systems in both mainstream and special education, and has led specialist teams interstate in developing specifi c professional development opportunities for stato enhance inclusive practice with an emphasis on autism, intellectual impairment, speech language impairment, and the gifted and talented domain. Dao is leading change in education through innovation and entrepreneurship to empower learners to be future-focused global citizens. She has presented at several state and national conferences on Making DREAMS [Dare to Revolutionise Education Authentically across Multi-dimensional Systems] a REALITY [Resilient, Empathetic, Active Lifelong learners to Inspire Tomorrow’s Youth].